A great night out… and raising money for a good cause too! On Saturday 5th September, Lister Hall at the Chantry Centre in Dursley is delighted to be playing host to one of the most popular rhythm & blues and soul show bands in the South West – ‘Kick the Cat’. 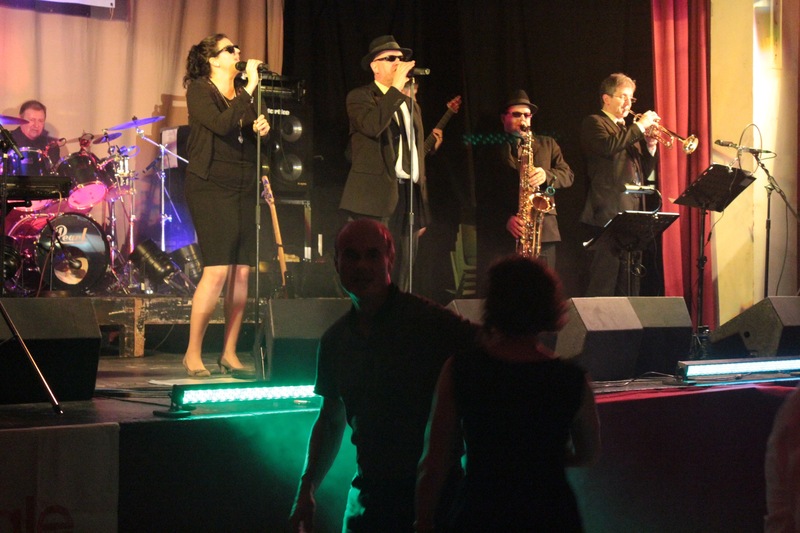 ‘Kick The Cat’ is an eight-piece band playing a fantastic mix of soul, rhythm & blues, disco, motown and funk – and are particularly well known for their tribute to the Blues Brothers. The event has been organised by award-winning community organisation World Jungle with the aim of raising money to support a variety of community projects to support children, young people and adults across the Cam and Dursley area. “It is fantastic to welcome this fabulous and highly entertaining band back to Dursley. This promises to be a great night out and raising money for a good cause too. For more information, please contact Jane Manning at World Jungle on 01453 548 880, 07878 865 297 or email: info@worldjungle.org.uk .